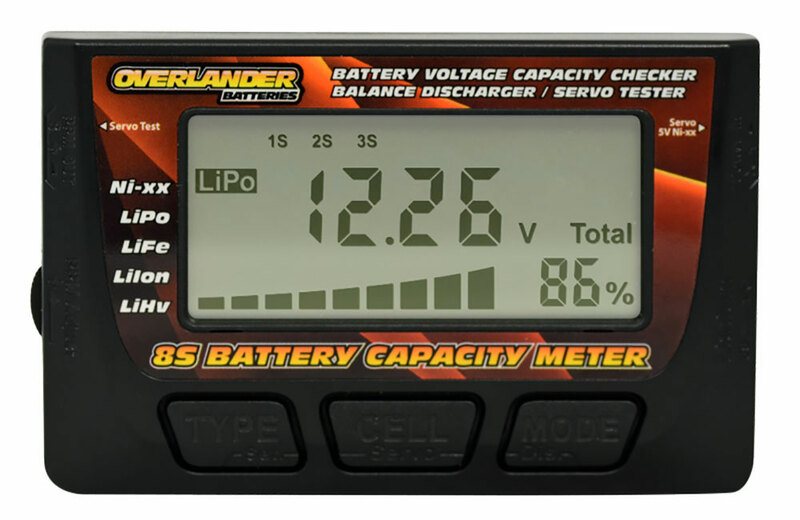 All Products > "3250 Overlander 8S Battry Capacity Meter"
Battery Voltage Capacity Checker / Balance Discharger / Servo Tester from Overlander. Compatible with 8S battery packs! It also has a balance function for Lithium packs, bringing all of the cells within the pack to the same voltage, maximising the life of your battery. Please note: this capacity controller is optimised for use with Lithium batteries. 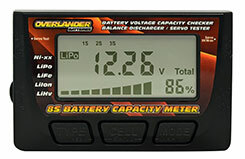 Functions are limited to total voltage monitoring when used with NiMH/NiCd batteries.